1922 by J.M. Keune enhances the "For Men" services offered exclusively at Séchoir. Built on Dutch craftsmanship, apothecary heritage, and ingredients that work, we believe that 1922 by J.M. 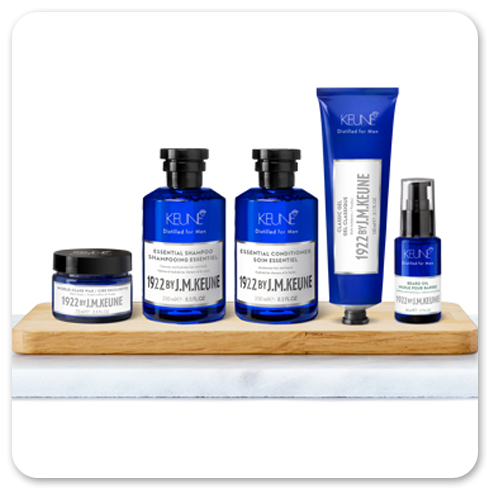 Keune sets the standard for quality services for men. Steeped in three generations of Keune innovators, 1922 by J.M. Keune is the new men’s product line for barbers and stylish men. The line is an homage to Jan Keune, the Dutch chemist and Keune founder, but built for use for the modern man. Designed with a passion for excellence, and scientific research, 1922 by J.M. Keune offers hair care, grooming, styling, and color.